s collector richly furnished the hotel in 1966, for guests who appreciated fine things. He wanted to preserve the hotel’s excellent heritage, but at the same time make his guests comfortable. 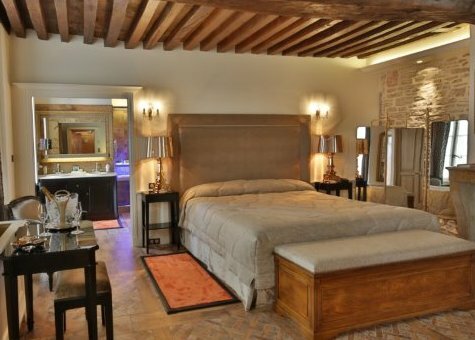 The historical building was therefore transformed, enlarged and adapted to merge modern comforts with the elegance and charm of a traditional Burgundian home. The hotel is located within the heart of historic Beaune, almost opposite the famous Hospice and within a few minutes’ walk of the Musée de Vin and the beautiful Collégiale Notre-Dame. With Beaune station located a five minute taxi ride from the hotel, it is easily accessible for guests wishing to visit the renowned Burgundy region. Guests at Le Cep will be welcomed to relax in the atmospheric bar/lounge, where a roaring fire will greet you in winter months. 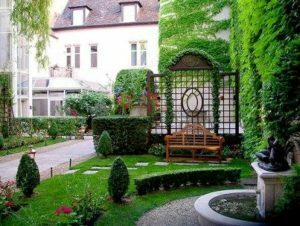 In the summer, instead relax in the pretty courtyard, perfect for enjoying a leisurely breakfast before heading out to experience the Burgundy vineyards. The fitness centre is available for those looking to keep up with their exercise regime whilst on holiday; or for those more suited to a relaxing break, visit the hotel’s brand new luxury spa. 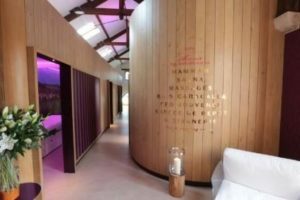 This unique spa offers twelve exciting sensory experiences, including aqua biking, flotation beds, Hamman, sauna, sensory shower and hydro-massage. 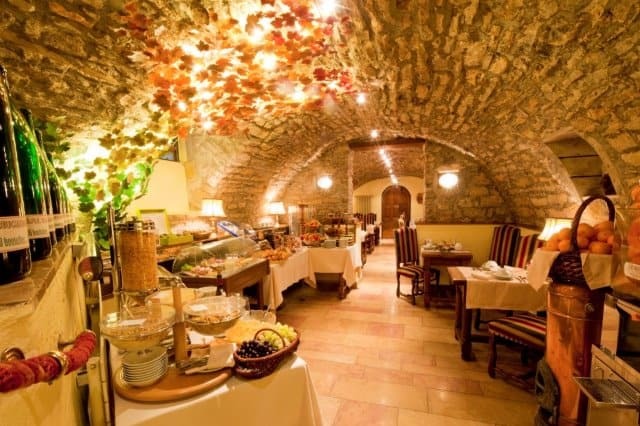 The hotel also boasts a fantastic Michelin-starred restaurant. The hotel boasts 36 rooms and 29 suites, all individually decorated and equipped with a mini-bar, complimentary WIFI, safety deposit box, direct telephone, flat screen television with satellite, hairdryer, bathrobes and complimentary toiletries. In the larger Premier Cru rooms, you will also benefit from additional space, as well as complimentary slippers and VIP bath products. For a luxurious experience, opt for the Grand Cru or Nectar sumptuous Suites, where an iPhone dock, expresso machine, fruit basket and water are all included, as well as unique NightCove technology, which encourages an excellent nights’ sleep.